The iPad is a great device, but occasionally, we all run into problems. However, a problem with your iPad doesn't have to mean a trip to the nearest Apple store or a phone call to tech support. In fact, most iPad problems can be solved by following a few basic troubleshooting tips. Trouble With an App? Close It! Did you know the iPad keeps apps running even after you close them? This allows apps like the Music app to continue playing music from the selected playlist even after you launch another app. Unfortunately, this can actually lead to some problems. If you are having problems with a specific app, the first thing you should do is close the app completely and relaunch it. You can close an app by pressing the home button twice in a row. This will bring up a list of the most recently opened apps at the bottom of the screen. If you press your finger against one of these apps and hold it down, the icons will begin to shake and a red circle with a minus sign in it will appear in the upper left-hand corner of the icon. Tapping this button will close the app, clearing it from memory. The oldest troubleshooting tip in the book is to simply reboot the device. This works with desktop PCs, laptops, smartphones, tablets and almost any device that runs on a computer chip. If you are having a problem with an app and closing it doesn't fix the problem, or if you are having any other type of problem, try rebooting the iPad. This will clear out the available memory used by applications and give the iPad a fresh start, which should help with whatever problem you are facing. You can reboot the iPad by holding down the Sleep/Wake button on the upper rim of the iPad. This will bring up a slider that will let you power off the iPad. Once it is powered down, simply press the Sleep/Wake button again to turn the iPad back on. Is the App Constantly Freezing? There is no cure for an app that misbehaves based on bugs in the programming, but sometimes, a misbehaving app has simply become corrupted. If your problem centers around a single app and following the steps above doesn't solve the problem, you might be able to solve the problem with a fresh install of the app. Once you download an app from the app store, you can always download it again for free. (You can even download it to other iOS devices so long as they are set up on the same iTunes account.) This even works if you downloaded the app during a "free download" period and the app now has a price tag. This means you can safely delete an app and download it again from the app store. There's even a tab in the app store that will show you all of your purchases, so you can locate the app easily. If the app in question actually stores data, that data will be deleted. That means if you are using a spreadsheet like Pages, your spreadsheets will be deleted if you remove the app. This is true for word processors, task list managers, etc. Always backup your data before performing this step. Did you know most problems with getting connected to the Internet can be solved by simply moving closer to your router or simply rebooting the iPad? Unfortunately, this doesn't solve every problem with getting connected. But the basic troubleshooting step of rebooting the device can be applied to your Internet connection by rebooting the router. The router is what runs your wireless home network. It is a small box installed by your Internet provider that usually has a lot of lights on it with wires connected in the back. You can reboot the router by simply turning it off for several seconds and then turning it back on again. This will cause the router to go out and connect to the Internet again, which can solve the problem you are having with your iPad. Remember, if you reboot the router, everyone in your household will lose their Internet connection, even if they aren't using a wireless connection. (If they are on the desktop computer, they could be connected to the router with a network cable.) So it might be a good idea to warn everyone first! Do Your Problems Persist Even After Several Reboots? 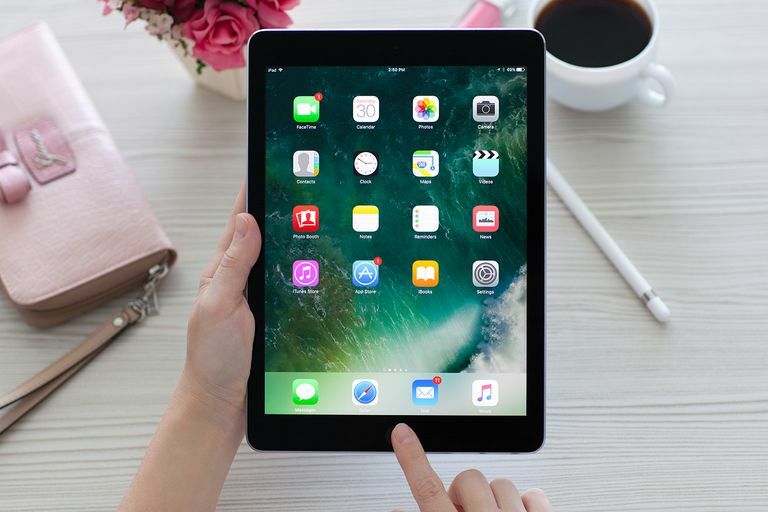 If you've rebooted your iPad on multiple occasions, deleted problem apps and are still having consistent problems with your iPad, there is one drastic measure that can be taken to fix almost everything except actual hardware issues: resetting your iPad to factory default settings. This deletes everything from your iPad and returns it to the state it was in when it was still in the box. The first thing you will want to do is backup your iPad. You can do this in the iPad Settings app by choosing iCloud from the left-side menu, Backup from the iCloud settings and then tapping Back Up Now. This will backup all of your data to iCloud. You can restore your iPad from this backup during the setup process. This is the same process you would undertake if you were upgrading to a new iPad. Next, you can reset the iPad by choosing General in the left-side menu of the iPad's settings and tapping Reset at the end of the General settings. There are several options in resetting the iPad. Erase All Content and Settings will set it back to factory default. You can try resetting just the settings to see if that clears up the problem before going with the nuclear option of erasing everything. Before contacting Apple Support, you may want to check if your iPad is still under warranty. The standard Apple warranty grants 90 days of technical support and a year of limited hardware protection. The AppleCare+ program grants two years of both technical and hardware support. You can call Apple support at 1-800-676-2775.